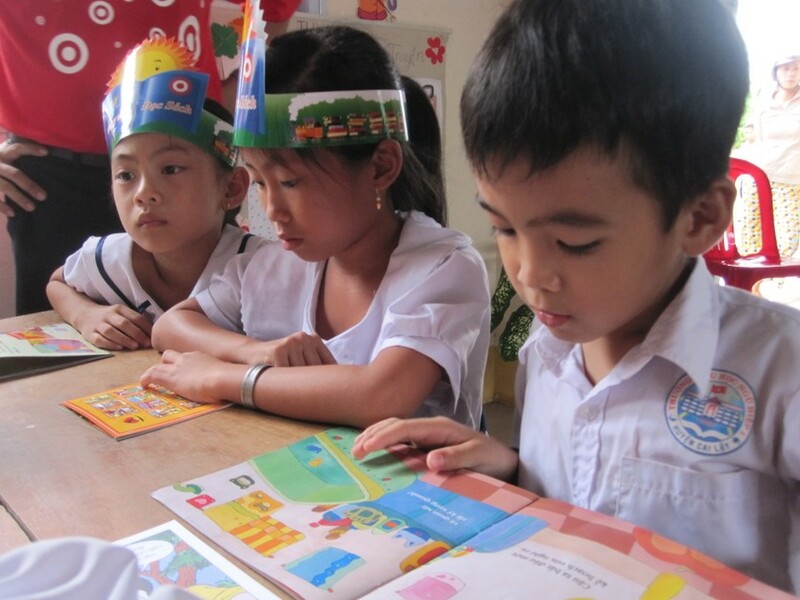 ‘Room to Read’ organization and the Department of Education and Training of the Mekong delta province of Tien Giang celebrated World Literacy Day on September 8 at the Ngu Hiep 1 Primary School in Cai Lay District of the province. More then 600 students between the ages of six to ten accompanied by their parents, participated in fun filled activities. Vu Dinh Toan, the well known and immensely popular actor, especially amongst children, graced the occasion and motivated children to adopt reading as a habit. The actor spent several hours with the children by reading stories to them and joining in the activities. Activities at the event included quiz and storytelling competitions, reading and writing activities, drawing and toy making and a session on simple tips to learn English. The activities were divided into sections and spread across different corners of the venue and children could join in any of the corners they wished. ‘Room to Read’, an international non-government organization has been organizing such events since 2008. The organization believes that ‘World Change Starts with Educated Children’ and this is the fourth time they have organized such an event for children in remote areas. World Literacy Day is traditionally observed each year on September 8 and focuses attention on worldwide literacy needs. 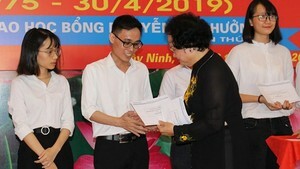 The 21st Nguyen Van Huong scholarship giving ceremony yesterday took place at the historical and cultural monument of the South Civil Medical Service Agency in the southern province of Tay Ninh.